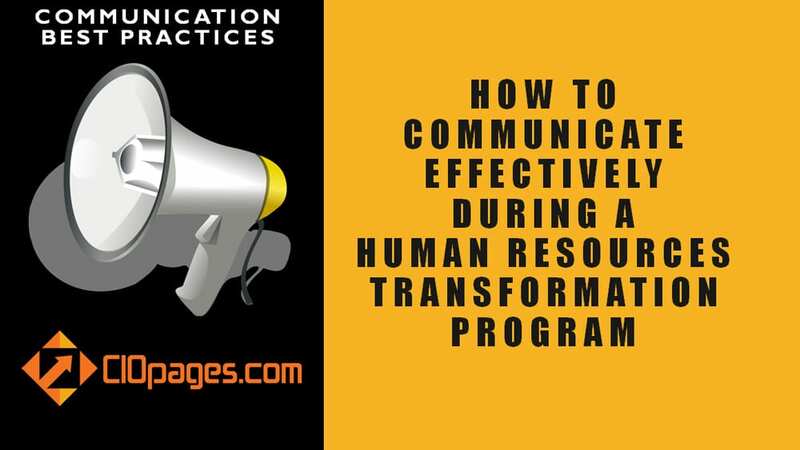 HR Transformation Communications Best Practices is a CIOPages.com best practices deliverable for use in enterprise HRIS/HRMS systems implementation project. HRIS implementation is a major transformation in any enterprise, and it is fraught with FUD (Fear, Uncertainty, and Doubt) among the affected employees. A well-crafted and well-orchestrated Communications plan will help alleviate some of the change management challenges. This CIOPages.com deliverable outlines the best practices and ideas to craft an effective communications plan. The deliverable consists of five categories of best practices and specific tips and ideas that are actionable. This deliverable does not contain the actual communications plan or templates. (There is a separate deliverable addressing those matters). As the HR Transformation Communications Best Practices is a digital product, there are absolutely NO Returns. Depending on your industry, the type of HRIS/HRMS solution you are implementing and the communication needs, some or all of the content may not be relevant to you. How are HR Transformation Communications Best Practices useful to us? Transformations are tough. A good communications plan may help increase the odds of transformation success. Before you embark on a major HRIS transformation and start crafting your communications plan, it would be helpful to understand the best practices and learn about actionable tips and ideas. Reducing the change management risk enhances your odds of success a little bit. Each company may be different, but at the end, Human Resources is a strategic support function and impacts company’s employees, the most valuable asset of any firm. The Communications Best Practices are a summary of what has worked in communications plan of HR transformation projects. HR Transformation Communications Best Practices is available at a steep discount as a part of the HR Transformation Toolkit Consultancy Edition. Would you rather consider purchasing the bundle?